No options available for 'Would you like to add a tub of gumballs for your bank?' at this time. Our smallest Gumball Bank, standing at 9" (22.86cm) tall, has a nostalgic look with a silver cast metal base and round glass globe, just like our larger Silver Gumball Banks. 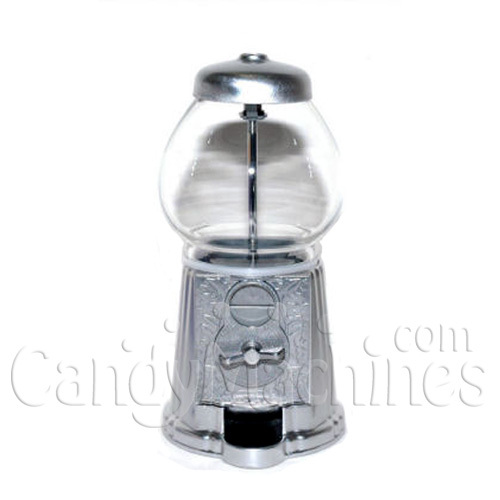 This Small Silver Candy/Gumball Bank is economically priced and small enough to fit in an office on a desktop or on a home countertop. One tub of 1/2" Junior Gumballs fills this bank approximately 3 times.